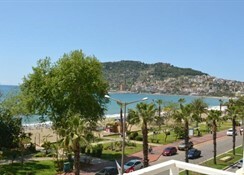 Nergiz Hotel Sand And City in Alanya has 55 rooms, spread over 5 floors. To make your stay more comfortable an elevator, a reception and a lobby are available. The staff in this 5 storey hotel speaks English. A fresh water swimming pool, seasonally open is available. A poolside bar is on site at the hotel where guests can unwind with a drink. Sunshades and sunbeds are available for an additional fee at the beach and free of charge at the pool. 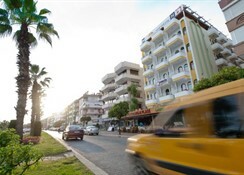 Accessible from the hotel: disco (1 km), Red Tower (2 km), airport GZP (65 km) and airport AYT (120 km). 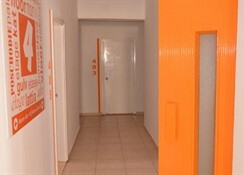 The hotel is within easy reach of bars and restaurants, taxi stands and city centre. Vehicles may be parked in the parking lot. This is an adults only hotel. Amenities: For convenience the hotel offers a safe, wake-up service, maid service and laundry service. Internet access is provided at wifi-hotspots. Reception hours: 24h Service. 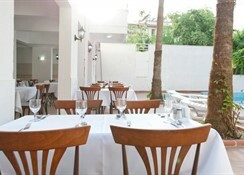 Meals: The breakfast type is Buffet and it is provided from 08:00 - 09:30. 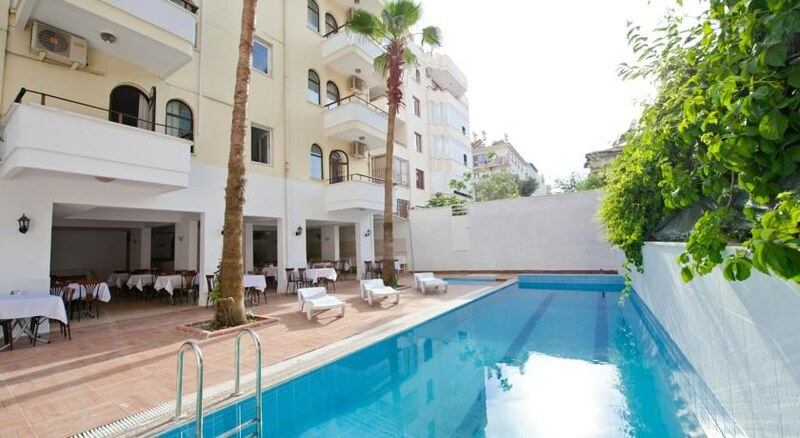 Sport and Leisure: At Nergiz Hotel Sand And City recreational amenities include a sauna. Guests who wish to be active on holiday can enjoy activities such as beach volleyball. Additional Information: The following payments are accepted: Visa Card, Euro/Master Card and American Express. Additional fees may apply for certain facilities, amenities or activities.